" attack against our website service provider that has made it difficult for many of you to access our content. In other words, our site has been offline intermittently today. That’s been frustrating for all of us, and for many of you. We’re working to resolve the issue, of course. Delivery of our daily newsletter, MarketingProfs Today, has been postponed to tomorrow, Saturday, May 19. Those of you who also subscribe to MarketingProfs This Week—our “best of” weekly edition—will receive it on Sunday, May 20, rather than tomorrow. 1. Vote in our Marketing Tug of War: Content v. Social Media. (Which is more effective? You decide!) While you’re on our Facebook page, you can spend some time connect with us and your fellow subscribers (and don't forget to Like our page when you're there!). We’re posting updates to Facebook as well as our Twitter feed, BTW. 3. Check out our latest Slideshare presentation, 10 Ideas for Creating Visual Content, by our senior writer and this blog’s editor, Veronica Maria Jarski. 4. Read some of my favorite posts on the MarketingProfs blog. Since the blog isn’t affected by the DDoS attack (different server, yo), you can happily browse content over here. Some of my favorite posts of late have highlighted the 12 most annoying things about your website by Shelly Kramer, MarketingProfs' own Dani Hagen’s take on what we can learn from Trader Joe’s, and why you should create content for the person who sits next to your prospect. 5. 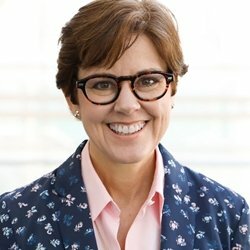 Listen to the MarketingProfs Marketing Smarts podcast. Subscribe or listen via iTunes. Hosted by Managing Editor Matthew T. Grant, the MarketingSmarts podcast is free, and the half-hour weekly show is a lively mix of fun and smart conversation. So there you go. Thanks for your patience while we work through the issue and get back online as fast as we can. It’s not an overstatement when I say: Holy Toledo, we miss you! !